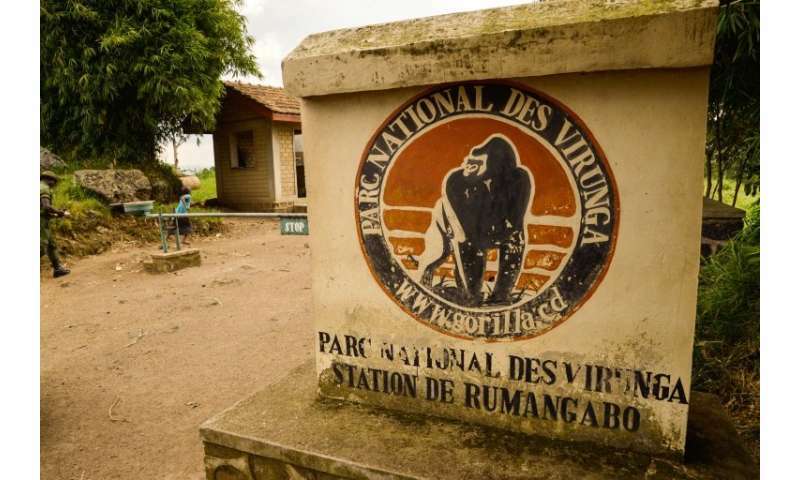 The threatened Virunga National Park in DR Congo announced on Thursday it has banned the felling of trees throughout the nature reserve. "The management of the Congolese Institute for the Conservation of Nature wishes to bring to the attention of the resident of Beni and its surroundings that it is forbidden to fell trees in the park," a statement read. "The incentives to destroy the park are contrary to the rule of law and destroy the common heritage for the benefit of individual and illicit enrichment." It is Africa's oldest national park and is Africa's most biologically diverse protected area of some 7,800 square kilometres (3,000 square miles), according to its website. Joel Wengamulay, a communication officer for the park, told AFP that "unknown people sell spaces inside the park for $250 (210 euro) and take advantage of the situation to cut down trees and make more money" in the Beni area, especially near the Ugandan border. Authorities and the United Nations accuse the ADF of being responsible for the massacres of some 1,000 civilians in the Beni region since 2014, as well as 15 peacekeepers at the end of 2017. Five park guards and a driver were killed in an ambush in early April. Global Witness, an international NGO, has recently accused the Congolese government of planning to reclassify "swathes" of the park to allow oil exploration to take place.